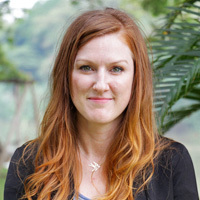 Hayley is a member of the British Psychological Society (no: 296640) and a certified addiction therapist with over 14 years of experience working with addiction and co-occurring disorders. She has worked extensively in the UK, Thailand and Canada. She originally graduated with honours in Psychology from the University of Sussex. Her post graduate training includes cognitive behavioural therapy, group therapy, nutrition and eating disorders. She trained with the National Centre for Eating Disorder in the UK and will complete her MSc in Psychotherapy in 2019. She has completed research around treatment needs in the LGBT community and is currently researching the experience of transformation in addiction and recovery. She has over 10 years of experience delivering and facilitating group work and facilitating psychotherapy groups to people with addiction problems, eating disorders, dual diagnosis, relationship issues and codependency. Here at the Cabin, Hayley manages our Food Related Disorder programme which helps people address their disordered eating, as well assisting those diagnosed with eating disorders.